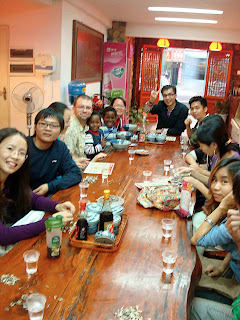 A bunch of the students from our B study group on Saturday. We usually go out to eat afterwards. Here we went to a noodle shop. Good food, for cheap!